VH-INV. 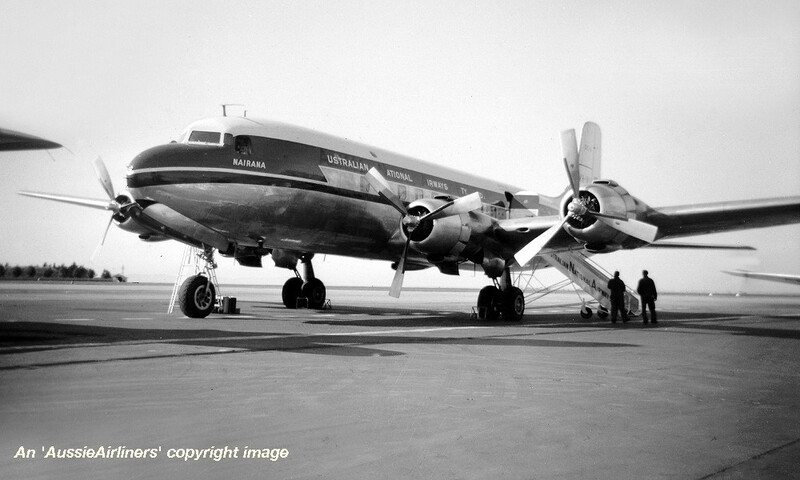 Douglas DC-6. c/n 43056-50. This aircraft was ordered new by National Airlines Inc - ? Entered onto the United States Aircraft Register as N90892 - ? This was the first pressurised aircraft acquired by A.N.A. Australian Government guaranteed the finance for this aircraft with loans from the Commonwealth Bank and A.M.P. Withdrawn from use at Melbourne (Essendon) Airport - ? Cancelled from the United States Aircraft Register - ? VH-INV. Australian National Airways Pty Ltd - 'Nairana' in the final livery at Melbourne Essendon Airport, date unknown. VH-INV. 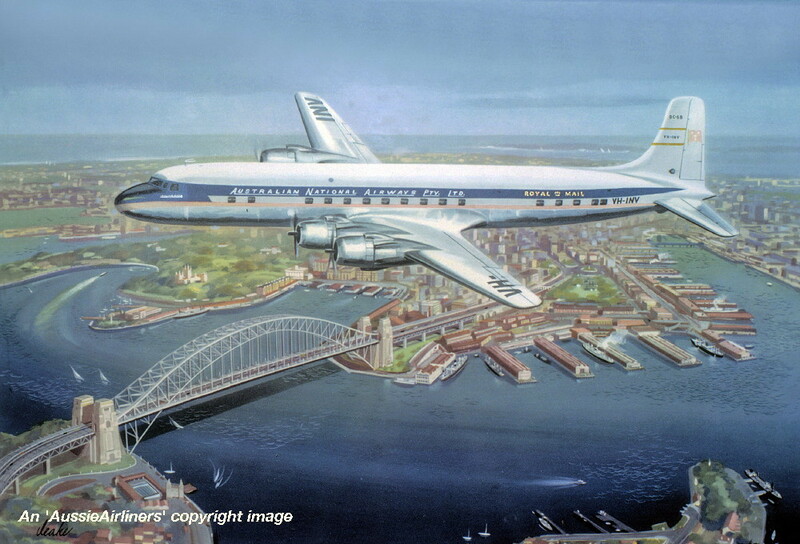 Australian National Airways Pty Ltd - 'Nairana' in the final livery over Sydney Harbour, date unknown. VH-INV. 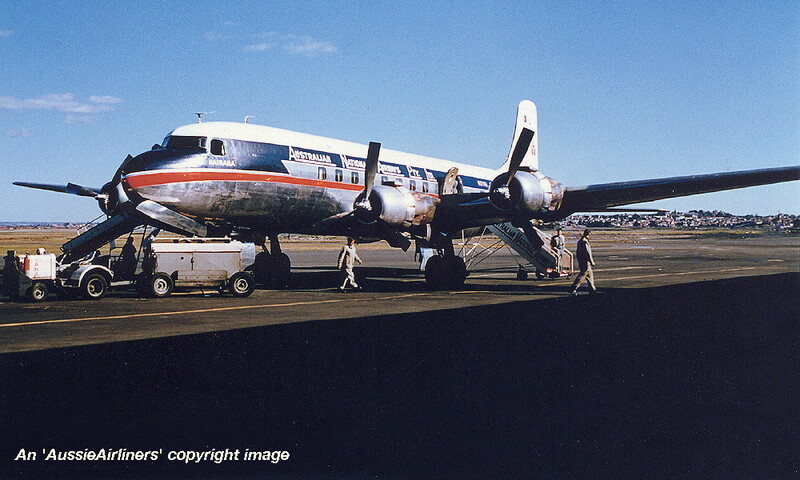 Australian National Airways Pty Ltd - 'Nairana' in the final livery at Sydney Kingsford Smith Airport, date unknown.